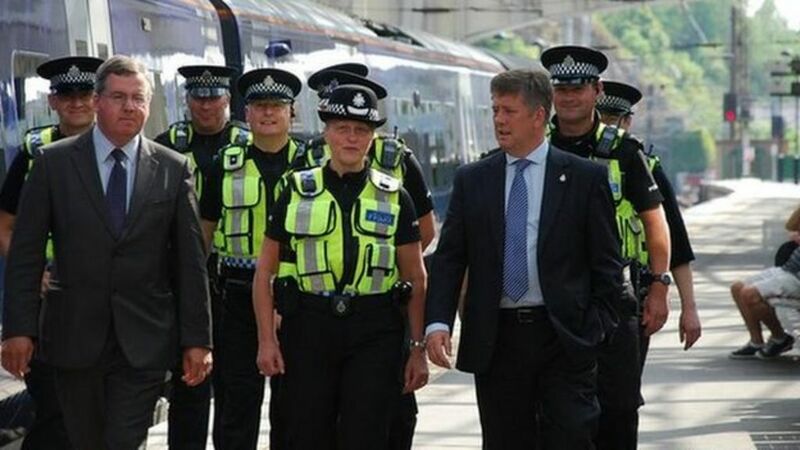 Transport Minister Keith Brown is to officially launch a dedicated British Transport Police team to patrol the Borders to Edinburgh railway project. It will work closely with Network Rail and main contractor, BAM Nuttall, to keep the 30 miles of new railway 'free from disruption'. The team consists of an inspector, a sergeant and seven constables. Transport Minister Keith Brown officially launches a dedicated British Transport Police team to patrol the Borders to Edinburgh railway project.